Following our trip day with the schoolchildren to Ein Gedi, the new day began with sunrise at the Hazeva Field School. We prayed, ate and packed our belongings onto the bus, ready to continue the fun. 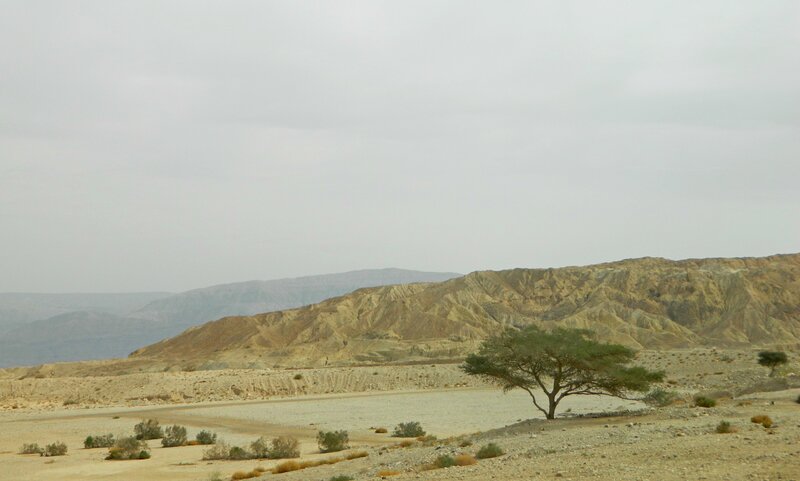 Driving up Road 90 from the Arava, we reached the region of the Dead Sea and began seeing interesting things, such as the magnesium production plant with its mountains of harvested minerals and Mount Sodom, which is more of a ridge than a lone peak. The southern half of the Dead Sea is comprised of shallow pools that were divided by dirt banks and used in the harvesting of salts and minerals by means of evaporation. It was my first time seeing this part of the Dead Sea and I found it quite fascinating. Unfortunately, there was no time to be spent at the sea, and we continued on to our first destination of the day: Ein Bokek. After a quick drive around the tourist area with the hotels and spas, our bus pulled up at the side of the road at the trailhead for the Ein Bokek hike. We disembarked and followed our tour guide as we walked along the vegetation-lined stream, the calm waters gurgling along peacefully. I was hoping to see some interesting birds, perhaps some interesting warblers in the shrubbery or some eagles over the cliffs that surround us, but I found nothing of the sort. Before long we reached the first tiny waterfall, and stuck around for a few minutes to enjoy it before continuing on. A few more minutes of streamside walking brought us to the end of our trail, where a pool and waterfall awaited us. Several of the lads waded into the cold waters, but I sufficed by standing on a rock island and photographing the sight. Recalling the start of our trail, I had seen the ruins of an ancient fortress on a low peak overlooking the stream and I decided it was worth visiting on my own whilst the lads played. Checking with the tour guide and some rangers, I struck out on my own and reached the ruins after a short hike uphill. What I found was a Byzantine fortress dating to the 300s CE built to guard over the roads in the frontiers of the empire. According to the archaeological evidence, Bokek Fortress has four levels of construction, all dating to the Byzantine period. 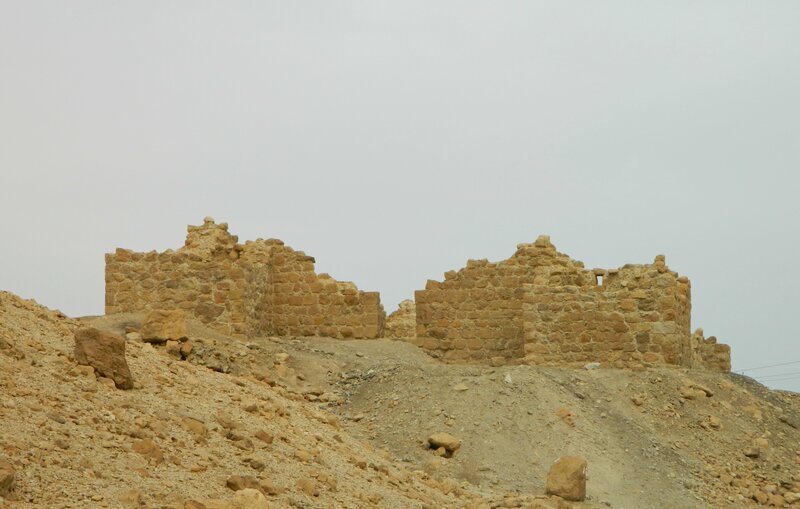 The fortress was abandoned in the Early Arab period and, in recent years, was cleaned up and partially restored. Unfortunately, several weeks after my visit, there was a news article about graffiti vandalism on its southern walls. I looped around the west side of the fortress, and entered it from the south, admiring the stonework. I found a burnt potsherd on the ground, perhaps part of an old oil lamp. Inside, the view of the cliff on one side and the view of the sea on the other added to the charm of the ancient ruins. One particular aspect that sparked my interest was a series of bone-dry wood sticks bridging the top of a doorway. I stopped for a minute and stared, wondering for how long they had been been lying there. Leaving the fortress, I rejoined my group as they left Ein Bokek, and together we made our way to our bus. Our next location was just a few kilometres away and we were excited to get there. 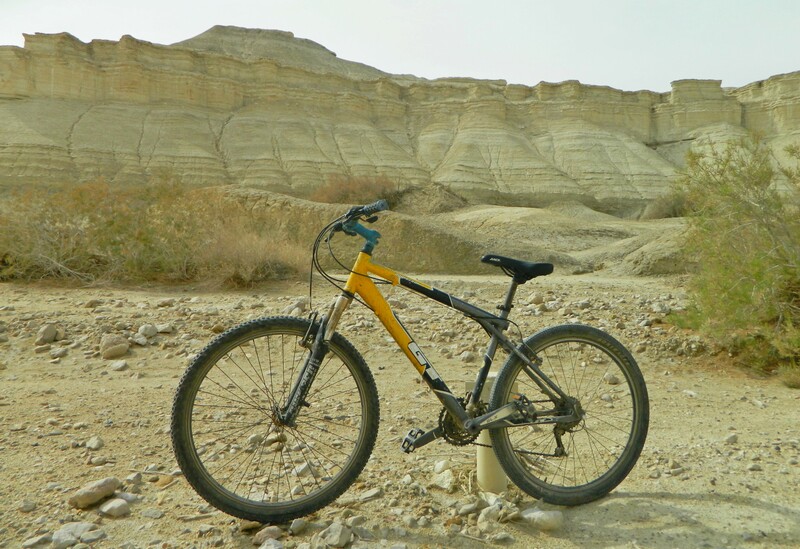 We were headed to the Ami’az Plateau while hired bicycles waited for us to take us on some off-road biking. Disembarking, we gathered around the guides and were briefed before setting out. I was given the guide’s bike, a yellow, black and grey GT Aggressor, and pedaled off at a comfortable 6th speed with the rest of the lads. 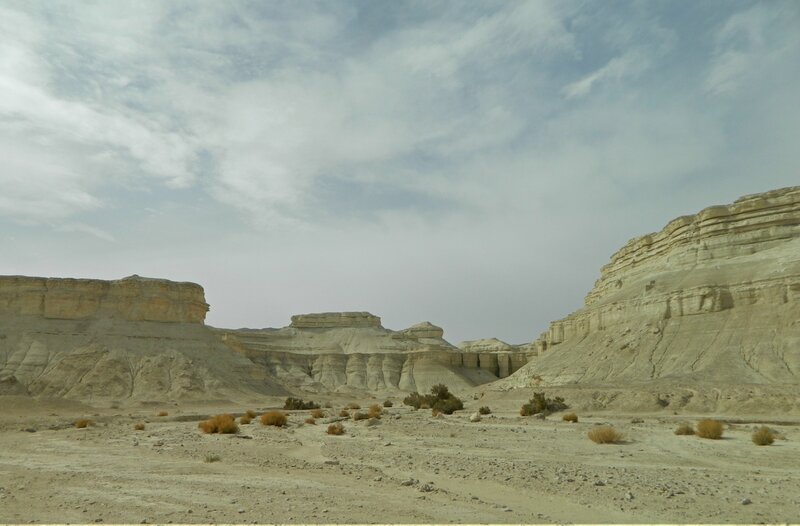 Within minutes the terrain went from a rather dull, rocky landscape to a really picturesque scene, with flat open stretches and interesting, wind-shaped hills. I kept my eyes out for birds, especially birds of prey which, when soaring above, are less likely to be disturbed by our group. I saw nothing interesting, but the location’s beauty kept me entertained. Along the way we passed several dry streambeds, including Wadi Hemar, Wadi Lot and Wadi Pratsim, and we kept pedaling after our guide. After nearly an hour we reached the end of our allotted trail, and turned around. I took the opportunity to ask some lads to take my photo, and then began the ride back. We all made it back safely to the starting place and returned our trusty metal steeds to the rightful owners. After praying mincha (afternoon prayer) we boarded our tour bus again and began the long drive back to Givat Shmuel, taking a short break in Arad for food and restrooms. Thus ended yet another fun trip with the school where I work. 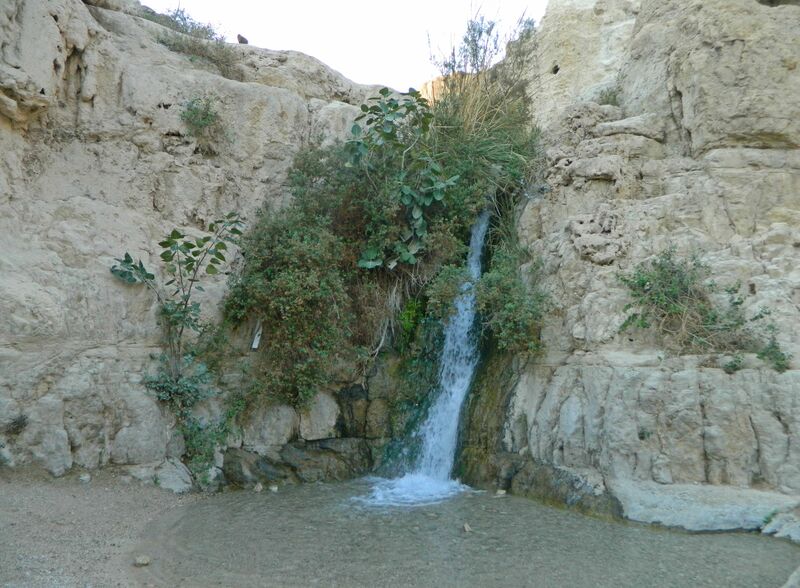 About a month ago, I had the privilege of taking a trip to a popular site that has been missing from my blog for years: Ein Gedi. 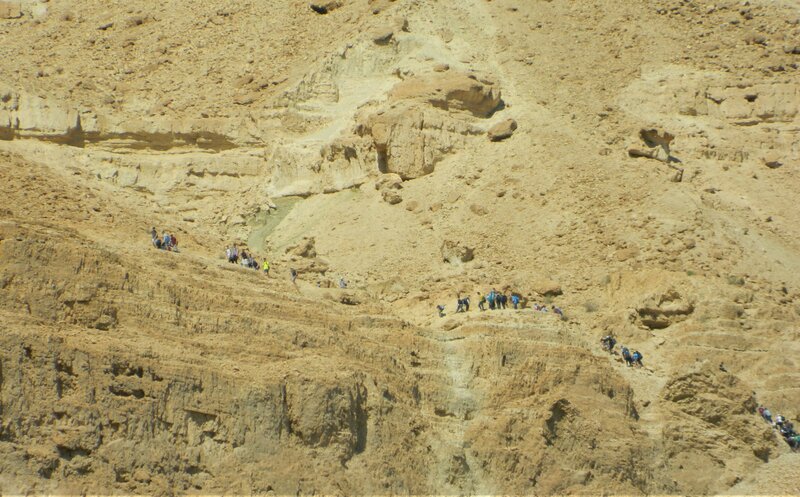 I was accompanying the tenth graders on their big annual trip, this time to the Dead Sea area. 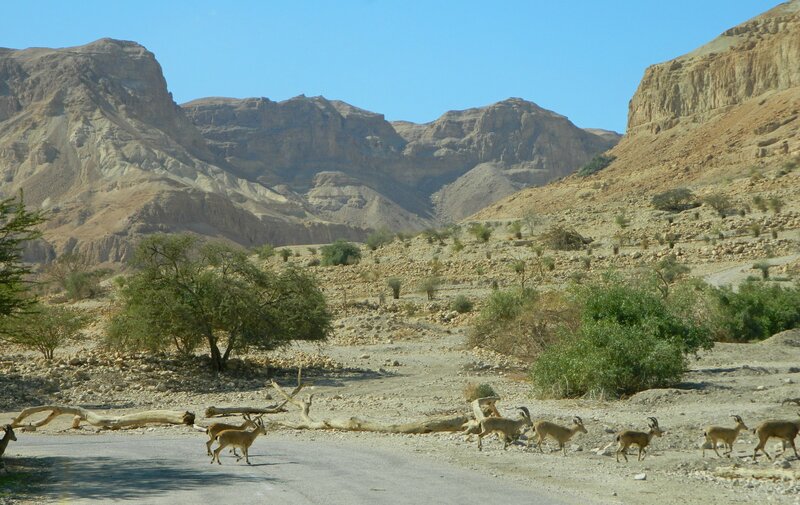 Being that I had an exam on the first day of their trip, I bused over the following morning to meet them at the Ein Gedi Field School. 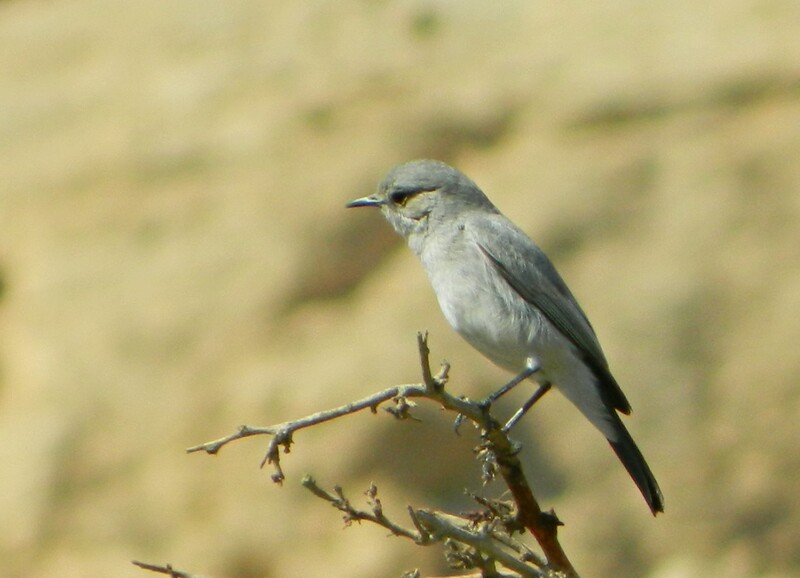 Disembarking into the bright desert environment, I took out my camera to get started on morning birding. Within minutes I found satisfaction: a handful of fan-tailed ravens patrolled the cliffs and a pair of blue-cheeked bee-eaters entertained me from close by. In addition, I had nice bonding time with a few fearless Nubian ibexes. 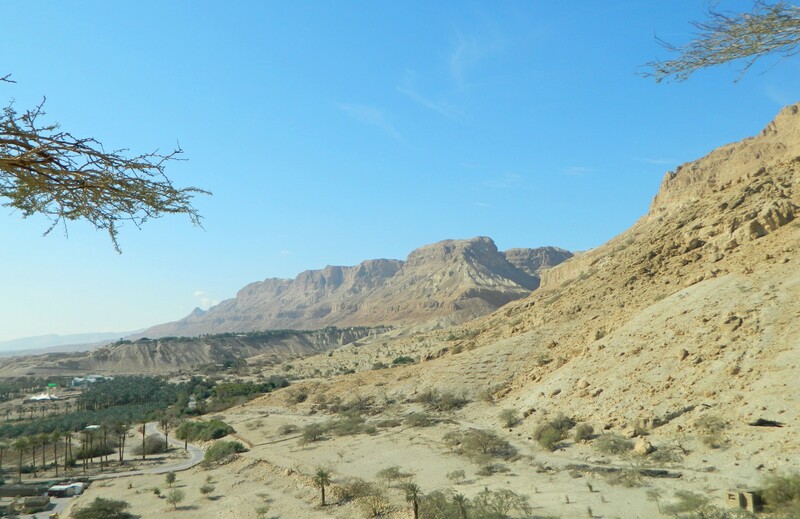 But it wasn’t just the animals – the view was incredible as well, the Dead Sea to the east and the arid cliffs to the west. I explored the field school, admiring their collection of stuffed animals (of the taxidermy variety) and antiquities, while I waited for the schoolchildren to show up. At last they showed up and I was informed that unfortunately I had to remain behind, as there were two students who couldn’t do the hike for health reasons. Not to be discouraged, I decided that I would make the best of my day however it was destined to be. 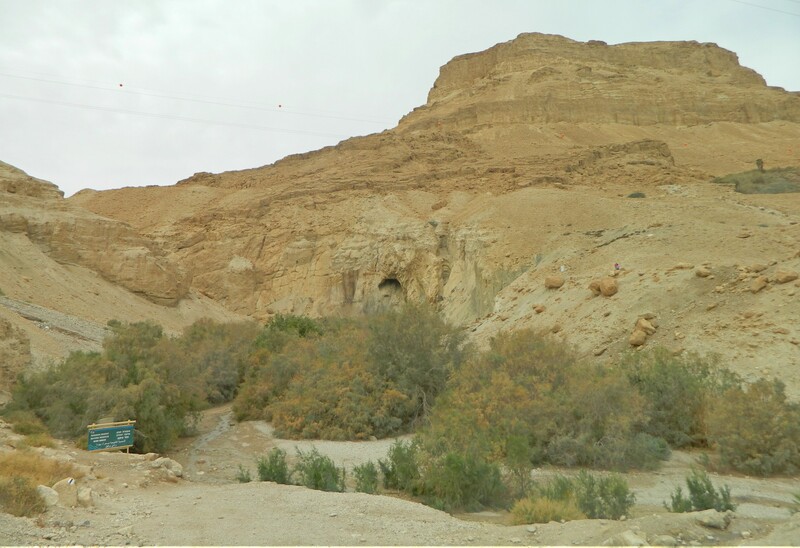 And so, while the mass of schoolchildren climbed Mount Yishai, I returned with the two lads and the buses to the Ein Gedi park entrance at Nachal David. Visiting the ticket office, I procured some pamphlets and mapped out my next few hours. I could see the line of schoolchildren making their way up the nearby mountain while the sounds of birds filled the air, giving me a good start as to what to do. 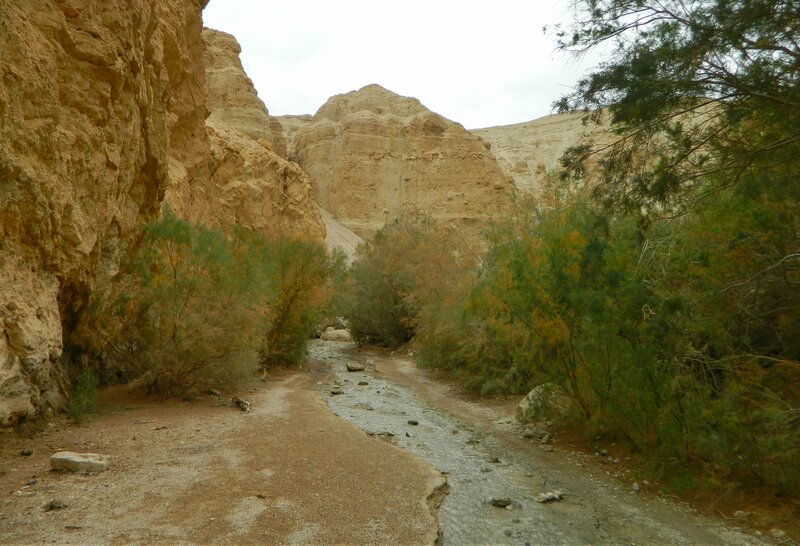 I began by leaving the parking lot area and walking along the scenic route near the base of the mountains in the direction of the ancient synagogue. 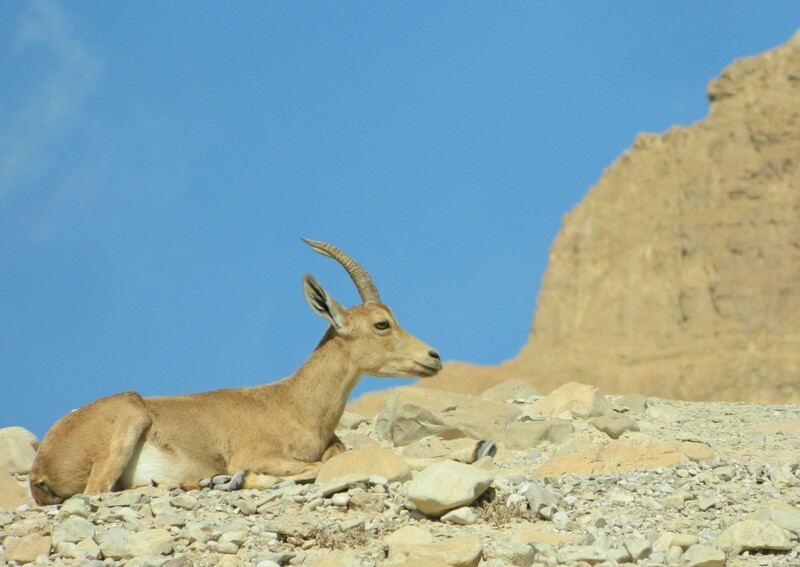 Along the way I birded and took many photographs of blackstarts, Tristam’s starlings, crag martins and, of course, large amounts of Nubian ibexes. It was a peaceful walk, and it wasn’t long before I reached the enclosure for the ancient synagogue. Inside, I explained who I was and was ushered in, free of charge. 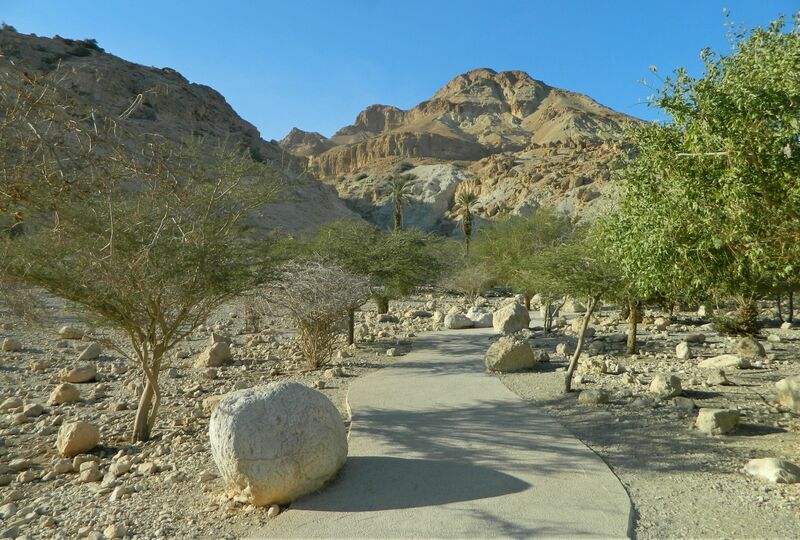 Shaded by short trees, a glass-covered model of the ancient village of Ein Gedi awaited me. It was fascinating to see a replica of the village life, complete with tiny people and animals going about their daily life. The highlight of the model was the replica of the fancy synagogue that had been uncovered in archaeological excavations beginning in 1965. 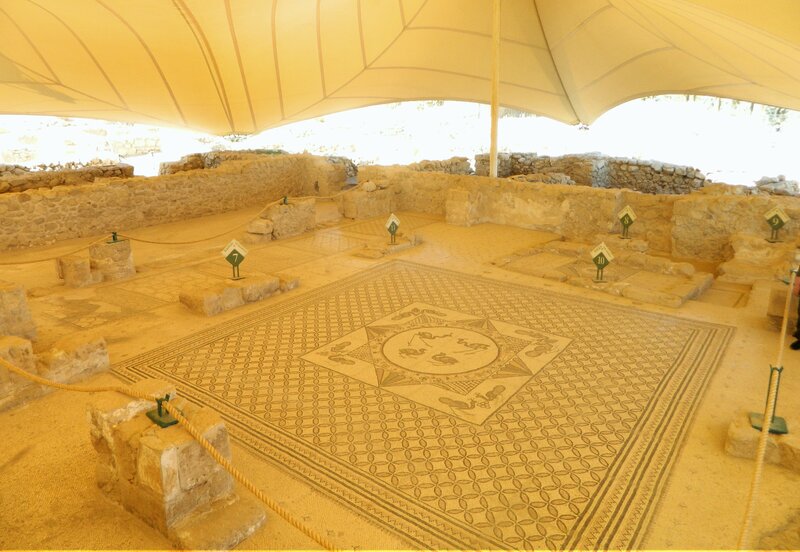 Its mosaic floor was restored in the 1990s, also depicted in the model. To summarise the history of the ancient village as is displayed, the housing structures date to the 200-500s CE, the Late Roman and Byzantine periods. The synagogue itself was built in the 200s CE, and then renovated in the 300-400s CE, the fancy mosaic floor completed in the mid-400s CE. Unfortunately the village didn’t last very long, and was destroyed by the fires of persecution by the Byzantine emperor, Justinian I, sometime around the year 530 CE. 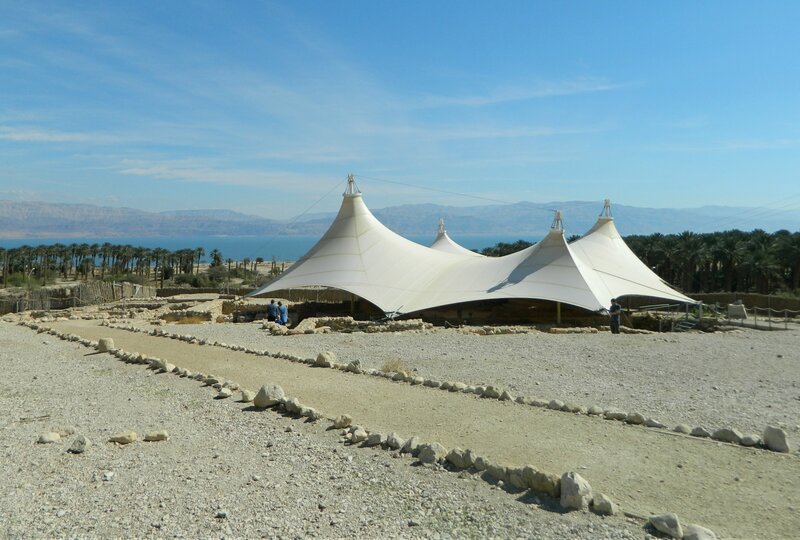 The site covered by the awning as seen above is mostly just the synagogue, with several attached structures as well. I began my tour at the Roman street, beside a ancient mikveh (ritual bath), where I continued alongside the ruins of unnamed buildings. Between the ruins of one structure I discovered a squatting man holding basalt grinding stones in his hands. Unsure of his identity, I inquired him if he worked at the park. He weighed the stones in his hands and replied that he was just a visitor. I was about to suggest that he not mess around in the fenced-off area but he added that he was a volunteer during the first season of renewed excavations in the 1990s, and together, we revelled in the joys of our digging experiences. Continuing on my own, I entered the synagogue and noticed the expansive mosaic floor comprised of many sections. The first, a series of crudely-written Hebrew letters, was a composition of various religiously-oriented texts: early biblical ancestry, months of the year, rules and dedications to the many benefactors who contributed to the construction. 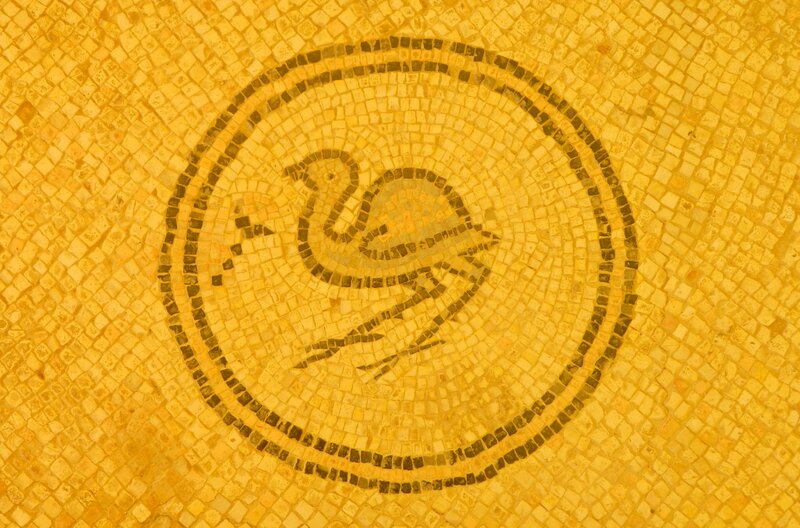 The central mosaic interested me most: a geometric pattern with a centrepiece of curious looking birds. There was a total of twelve birds in the centrepiece, eight of them feasting on grape clusters. These fine feathered fellows were joined by other curious-looking tiled birds at the edges of the floor. Unfortunately, due to the simplistic artistic nature, the birds aren’t detailed enough to be interpreted as any particular species. I, of course, still attempted to make my guesses. Classic synagogue elements such as stone benches, a seat of honour, and a holy ark (for Torah scrolls) completed the look of the room. 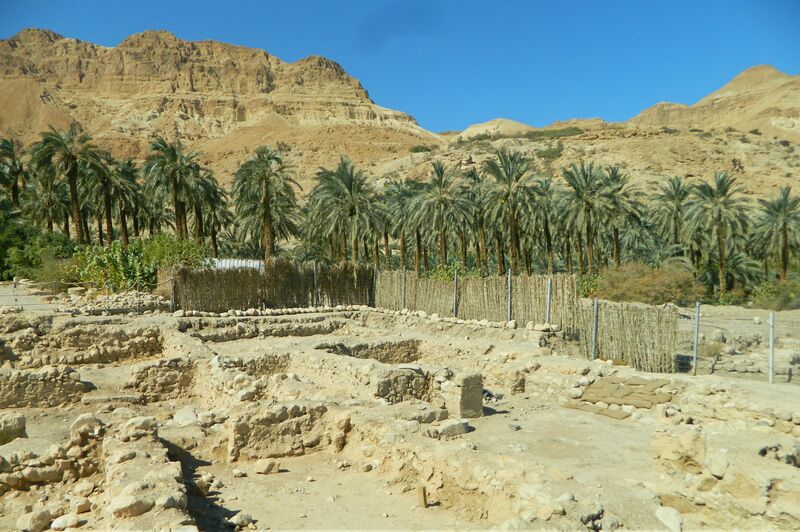 When I was done admiring, I headed out to see the rest of the excavated village. 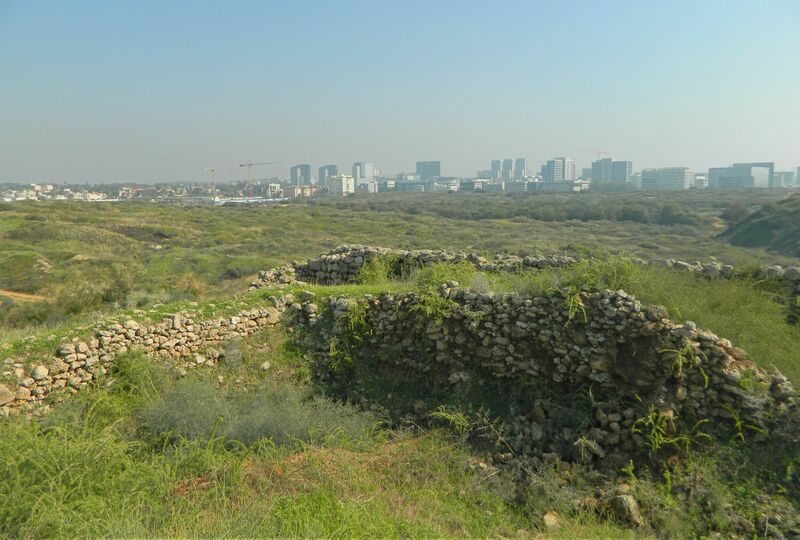 Somewhat hidden behind a fence, the continuation of excavated housing structures can be seen to the northeast. 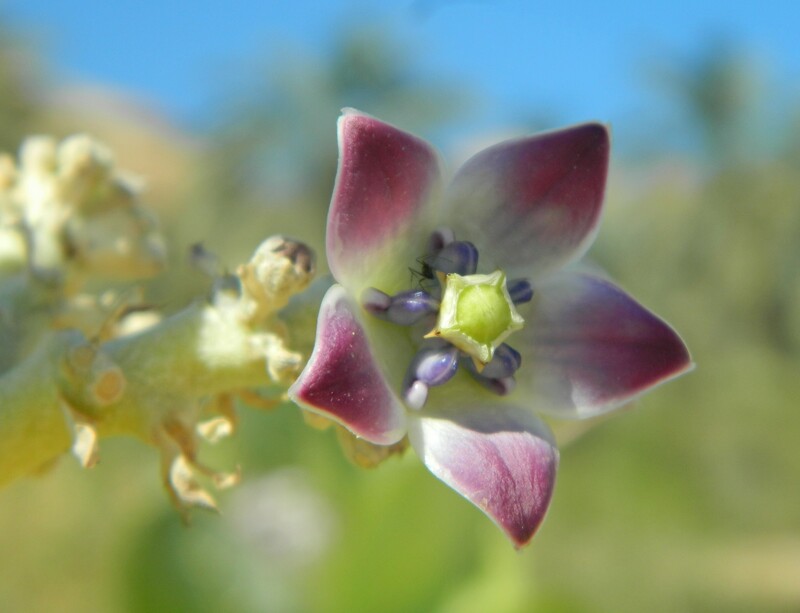 Beside the ruins I tracked a female Sardinian warbler in a bush and photographed the colourful flowers of a poisonous apple of Sodom plant. 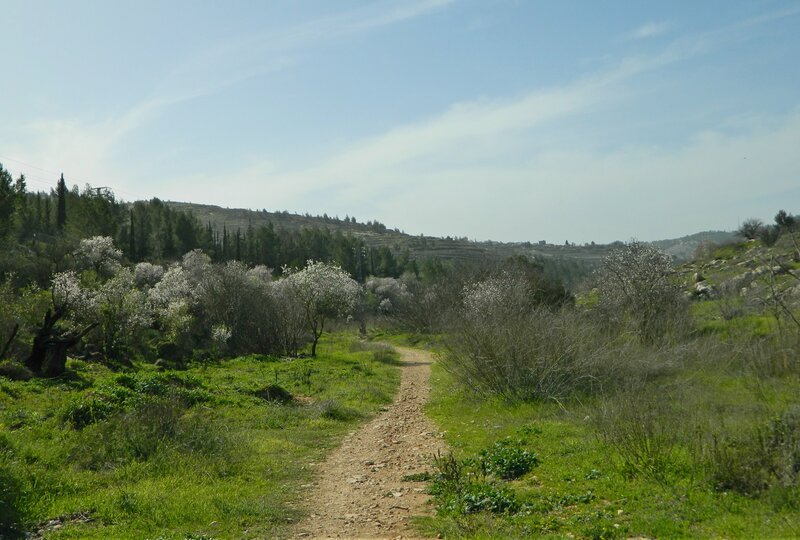 Sitting in the shade, I had a feast of pesto, cheese and tomato sandwiches and then began my walk back toward the buses, Eventually the schoolchildren trickled out from the trails, and I seized the opportunity to explore the little amount of Nachal David that I had time for. 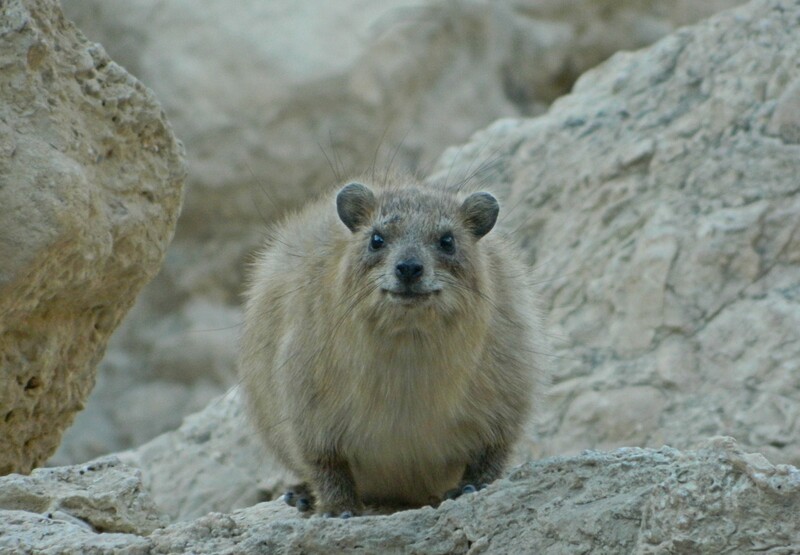 Walking the paved path, I passed many birds and a couple of bold rock hyraxes which I photographed. Within minutes the lowest waterfall was beside me, and I climbed down to examine it. I waited for a few visitors to clear the little pool and then snapped a few pictures before heading back. 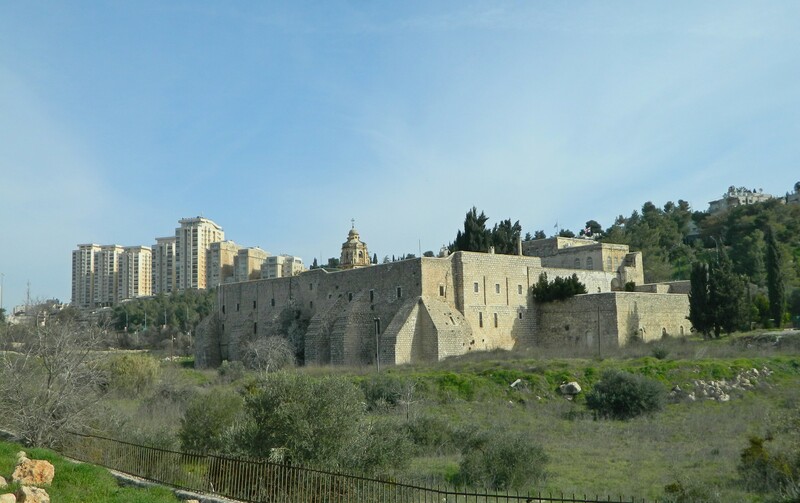 To my surprise, when I rejoined the group I was informed that we were going to head over to the ancient synagogue – the one I had just visited – to pray mincha (afternoon prayer). After the prayers we settled back into the bus and took a nice drive down to the Hazeva Field School where we were to spend the night. There, we got settled, had dinner and enjoyed the rest of the evening knowing that the next morning would begin another day of trips and adventure. 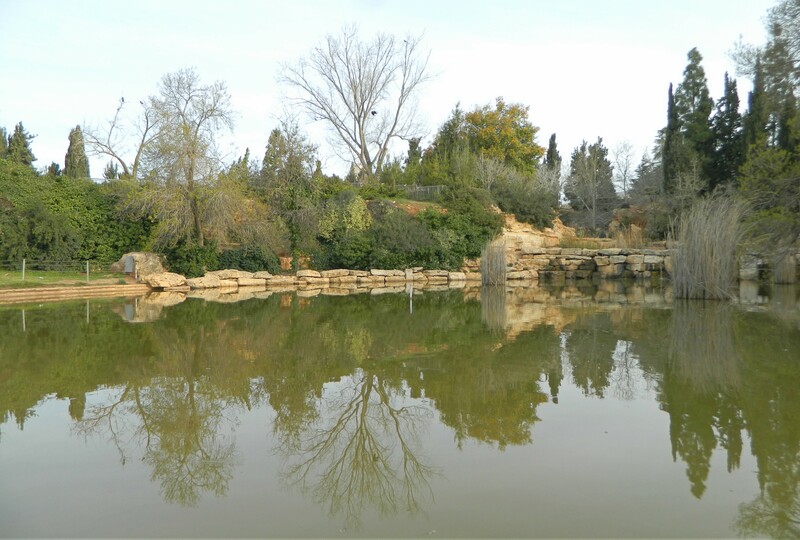 Continuing with a series of Friday trips, this post covers a trip to a number of nature parks within the city limits of Jerusalem. I was joined by two friends, both of whom have been featured numerous times in the blog: Adam and Itamar. 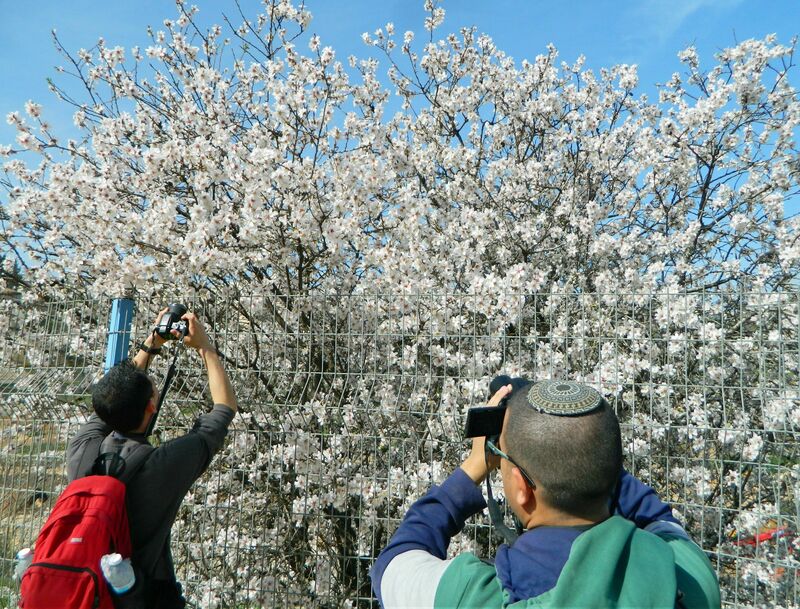 Our plan was to start at the Wohl Rose Park, just outside the Knesset building, and then make our way south, visiting more sites along the way. Busing our way from Givat Shmuel, Adam and I took another bus within Jerusalem and began at the aforementioned rose garden. Our mission first and foremost was to birdwatch. 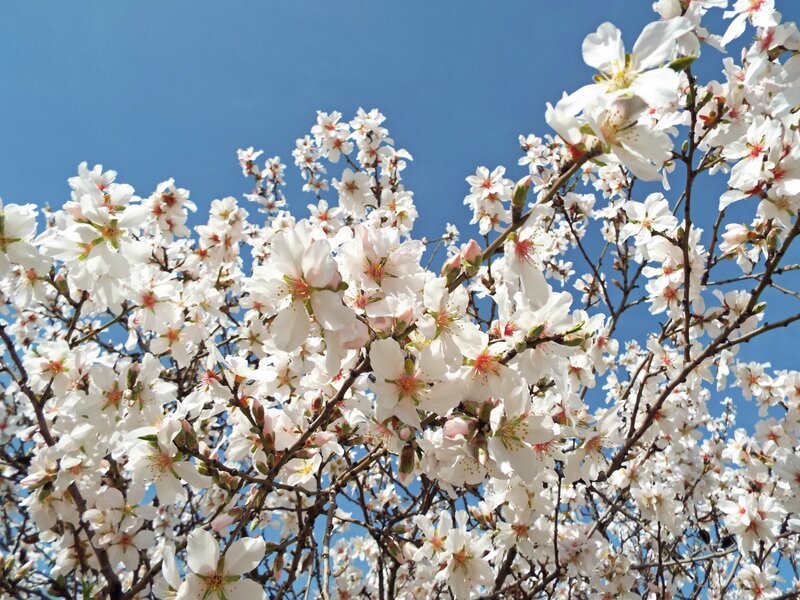 Although we knew that this garden is known for its birding opportunities, there were even more than expected, and birds such as starlings, Syrian woodpeckers and chaffinches filled our wide eyes. We were equipped with high-zoom digital cameras: myself with my 21x optical zoom and Adam rocking his hefty 40x optical zoom. 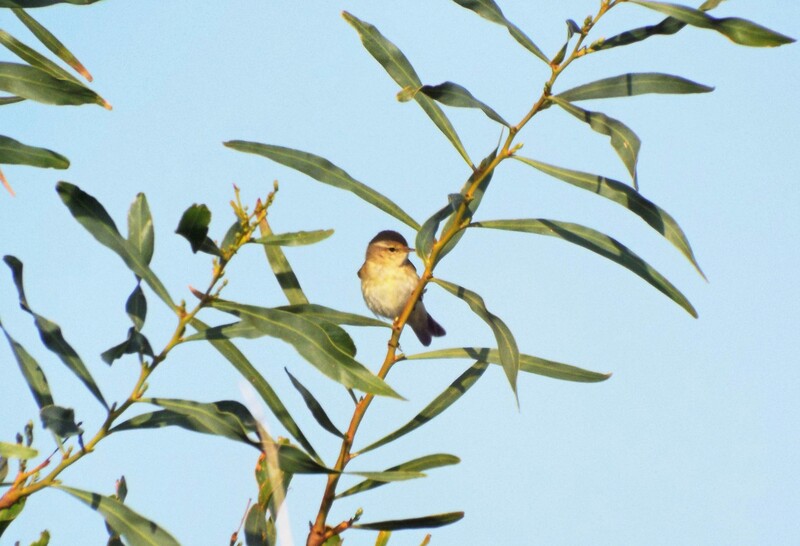 As we walked the park’s paved trails, we kept our birding focus and spotted birds everywhere around us. 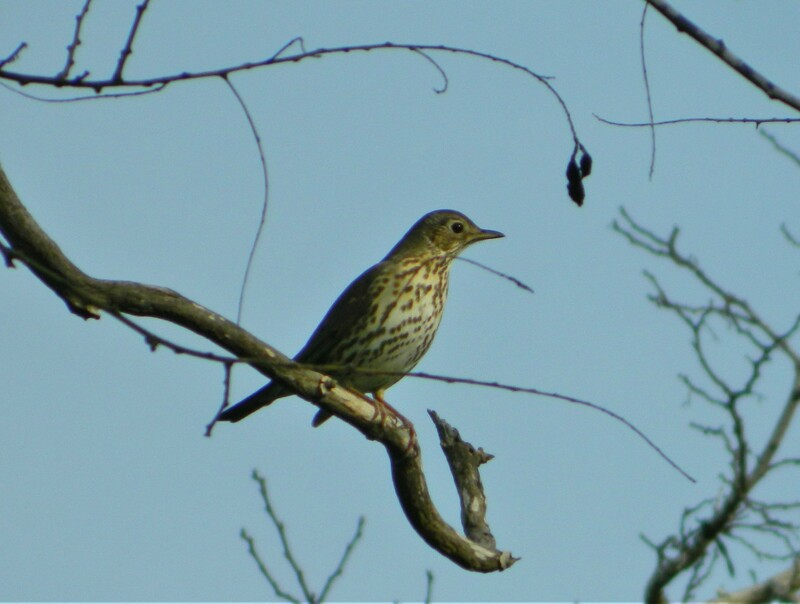 One bold specimen, a song thrush, perched itself on a branch right next to us and posed pleasantly. All in all, some fifteen or more species were sighted within the half hour or so that we spent there. 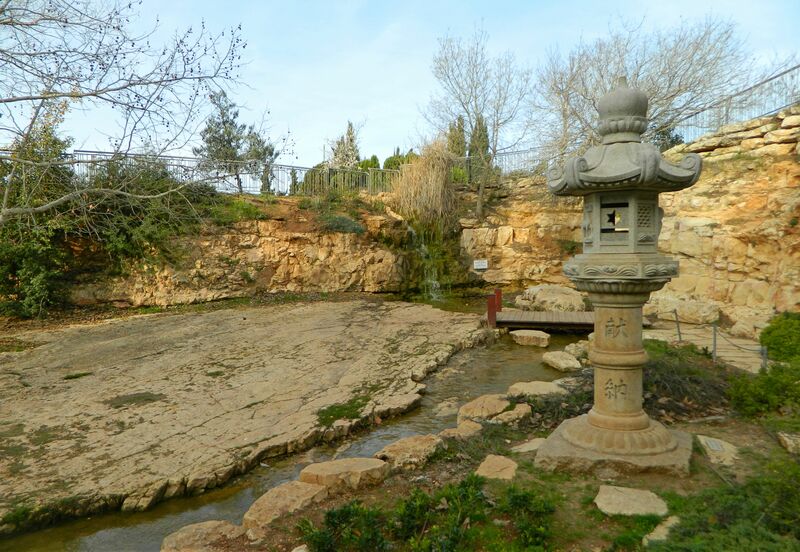 Moving past the rose bushes, we found a small pond with a small waterfall, and behind it, a Japanese-themed garden. There we found Algerian irises blossoming and ornate Japanese pieces donated by a Japanese businessman that Adam met a few years ago whilst doing translation work. Moving onward, we saw groups of people practicing various arts in the grass, including one young man practicing Kenjutsu, one engaging in Japanese swordsmanship. 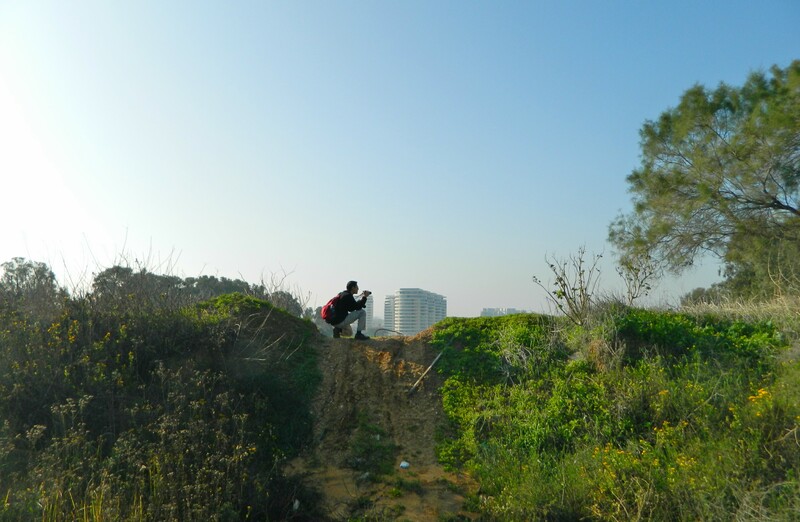 Leaving the garden, we crossed a small street and entered the Jerusalem Bird Observatory. Having covered this place in a previous post, just a short summary of our actions there will suffice. Itamar met up with us while we watched the rail, and surprised us by pulling out from his bag a camera with a whopping 65x optical zoom. It was a delight to see the results on the screen and I feel tempted to get one for myself. 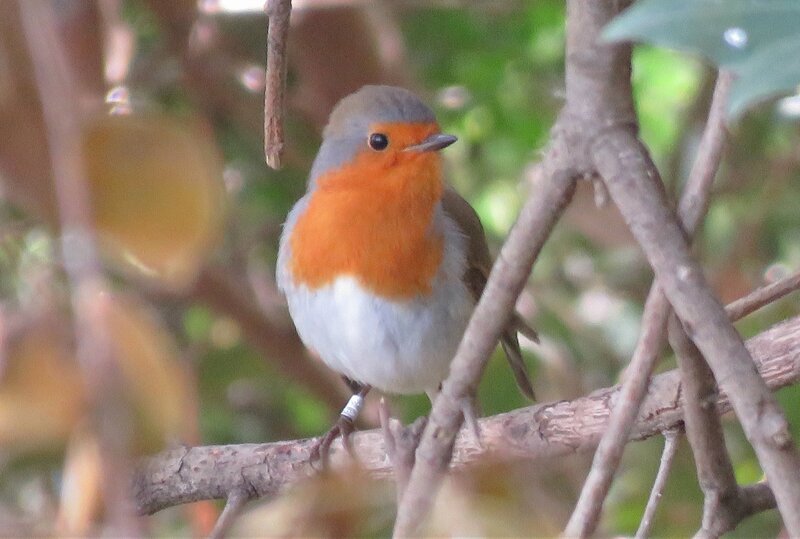 Taking photographs of a perched European robin with both mine and his camera really gave me perspective on how much better my photographs can be. The next site on our list was historical rather than birding-oriented but since birds can be found everywhere, we kept our eyes open. We were to visit the Monastery of the Cross, a large heavily-built structure in the aptly-named Valley of the Cross. 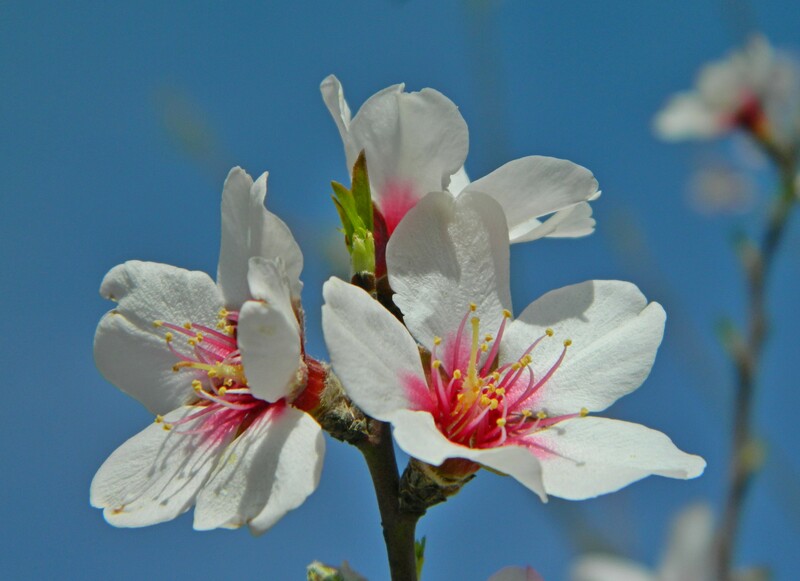 The name originates from the belief that the tree from which the cross of crucifixion was made grew there and thus, in the Byzantine period, a monastery was built at this very spot. Following destruction in the Persian period, the monastery was rebuilt by a Georgian monk around the time of the Crusaders and the site flourished. Post-Crusader Muslim rule saw attempts to change the monastery into a mosque but with limited success. Eventually in the late 1600s, the ownership of the monastery was transferred to the Greek Orthodox church, to whom it remains to this very day. We approached the fortress-like building from the north, pausing to scan the valley for birds, and then examining the monastery from up close. Above the doorway of the complex we found a Greek inscription, which I tried my best to read. We peered into the inner courtyard where a solemn monk was washing the floors and then continued on to enjoy the view from the southern end. Inside the old monastery are all sorts of interesting things to see, including an ancient mosaic floor, but we continued onwards and enjoyed the company of a spur-thighed tortoise outside. From there we took a bit of a convoluted route southward through the city until we reached a grocery store, where we shopped for nourishment. 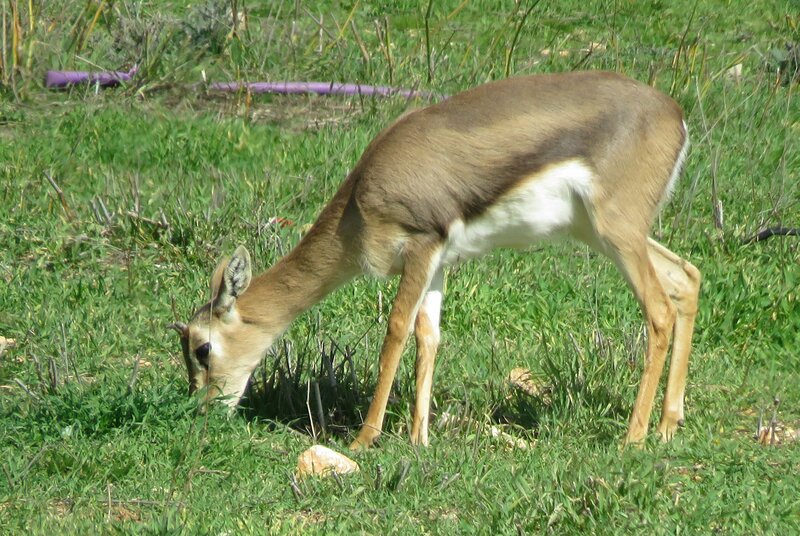 Revitalised delicious pastries, we made our way to the Gazelle Valley, an urban park famous for its local population of mountain gazelles. I had heard about the park for years, since it opened up in 2015, so it was nice to finally visit. Nearly immediately, we spotted a chukar and several gazelles far off on the opposite end of the park. Bordered by highways and houses, the park is a large triangle of green that provides refuge to a large variety of wildlife. Looking at the site’s map, we saw that there was a stream with a series of ponds that effectively filter the water of pollutants, a really cool method in curbing ecological damage. We lingered around the first two ponds, watching a sparrowhawk fly overhead and a group of moorhens splash around in the water. Perhaps it’s the season, perhaps it’s the heat of the day, but we didn’t see too many species of birds so we prepared to move on. 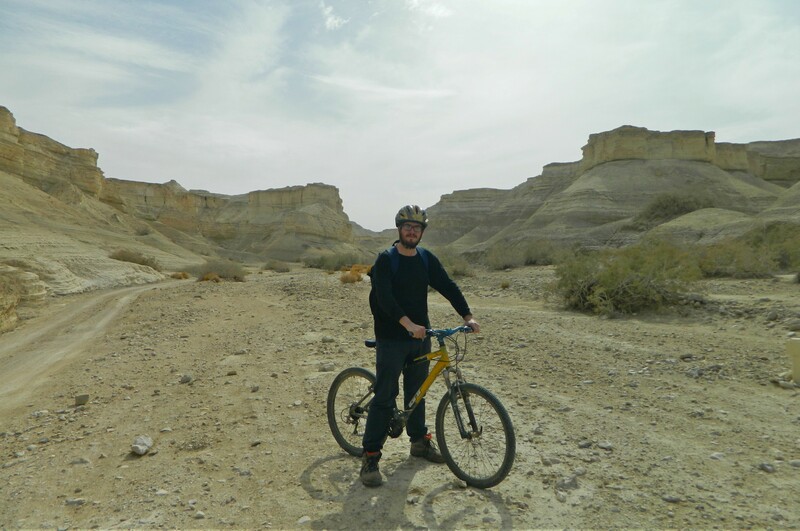 Itamar had to head out, so Adam and I boarded a nearby bus to Malha Mall where we found a trail to Ein Yael, and other sites just outside of Jerusalem. There wasn’t much time so we made our way quickly, but realised when we passed the Jerusalem Biblical Zoo that we had gone too far. Unfortunately we needed to get back to Givat Shmuel and had to catch a bus, or else we’d be stranded in Jerusalem for Shabbat. 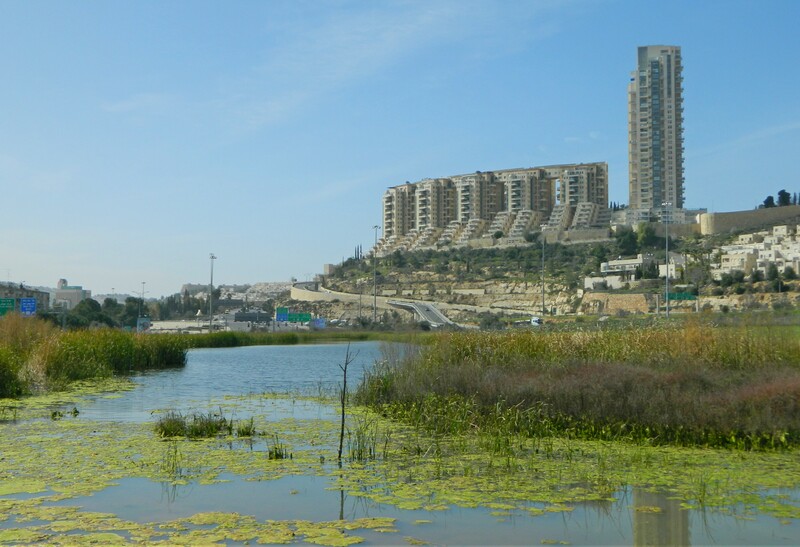 We reluctantly abandoned our plans to visit Ein Yael and made our way to the Central Bus Station area. Our adventure wasn’t over yet: our bus began smoking whilst on Road 1 and we pulled over in middle of nowhere where we waited for a replacement bus to scoop us all up. All in all, a very eventful Friday! 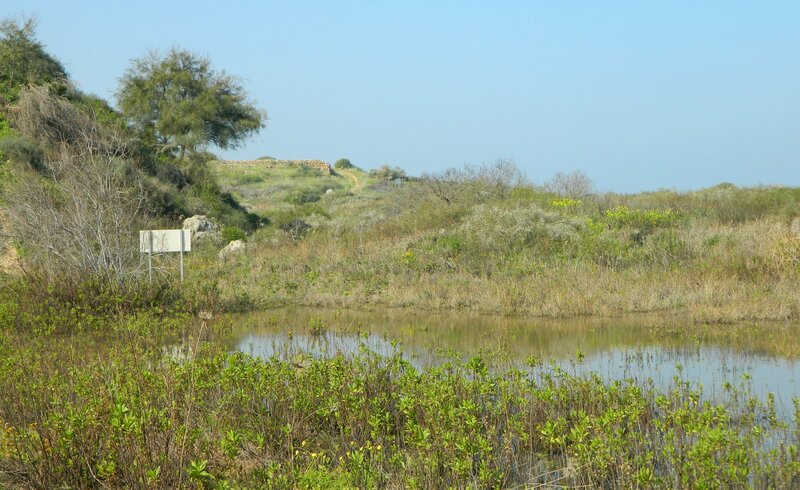 Since our first birding trip to the North Tel Aviv Coast back in October last year, my friend Adam and I had planned to revisit the coastline again, but this time heading north towards Herziliya. Being that it’s still the tail-end of winter, and not the spring migration, we weren’t sure what we’d see in terms of birds, but it’s always worth a shot. 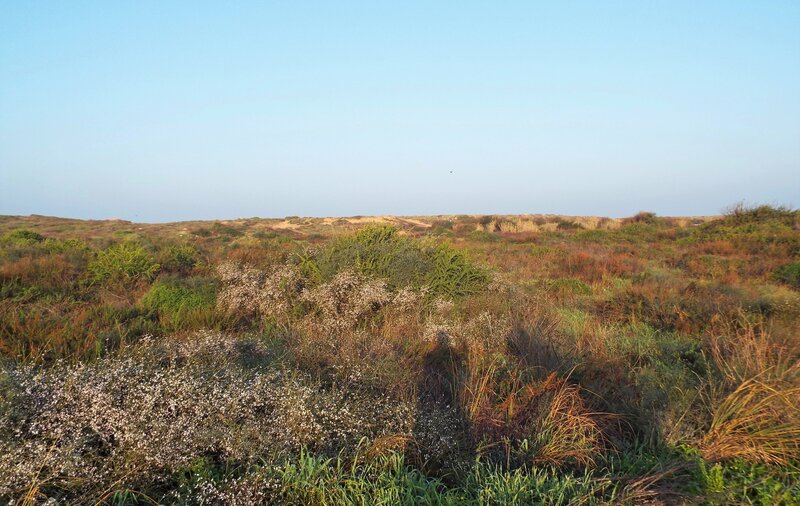 To take advantage of the morning activity, we left at first light, taking buses to Tel Aviv and then up the coast to Glilot Junction, where we got off and walked towards the open stretches of land that were waking up from the chilly night. The morning started off with a handful of juvenile gulls flying in from the sea, but we weren’t able to identify them successfully. Merging from the paved road to one of many dirt trails that crisscross the open land, we began to scour the area around us for interesting birds. We saw tons of the regulars, such as stonechats, sunbirds and more, but nothing exciting for the first twenty minutes or so. At last we spotted a small flock of Spanish sparrows, which always excite me. Another twenty minutes of scouring, whilst walking slowly northward, until we saw our next fun bird: a male blackcap. Moments later a Sardinian warbler made an appearance, and then a male common kestrel. 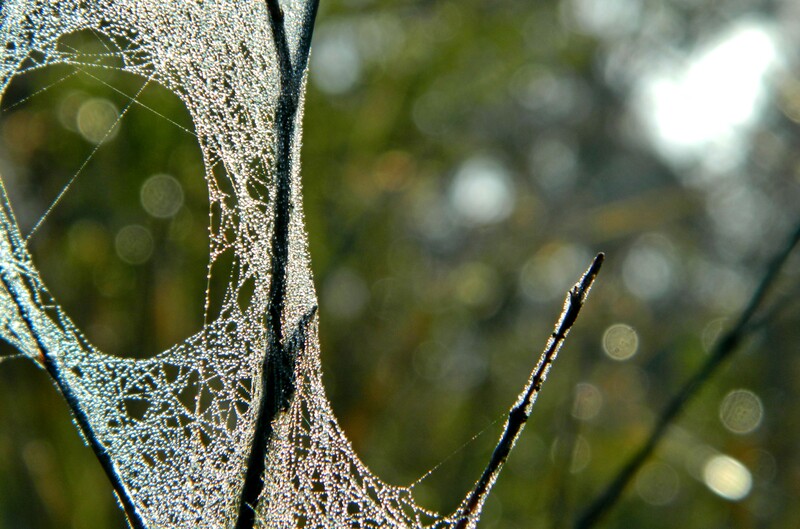 Turning east to examine a row of tall eucalyptus trees, we came across extensive caterpillar webs, covered with innumerable drops of dew. Entering the shade of the eucalyptus we found nothing but hooded crows — a lot of hooded crows, watching us with a collective suspicious eye. 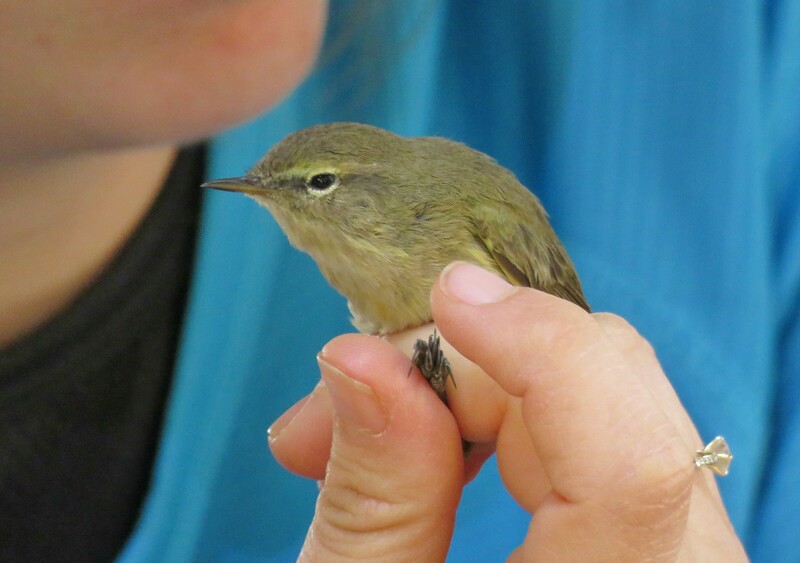 Swinging ever northeasterly, we watched a chiffchaff flit about in a bush, and then something surprising happened. I was casually looking over a flat area when a large bird emerged from the verdancy. At first I thought it must be a crow, and then I saw it was a common buzzard, so I got Adam’s attention and together we watched it fly off. Deciding to start heading for the coastline, we walked along a trail and spotted a flock of cormorants flying over the Mediterranean. 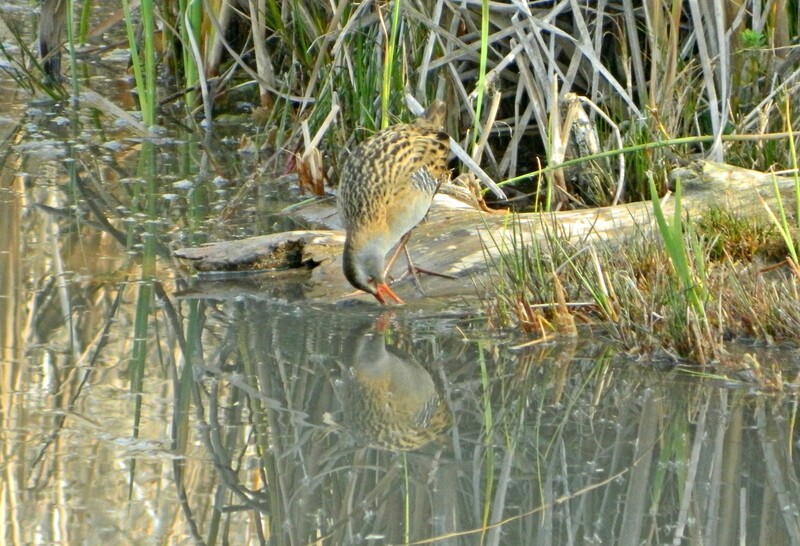 Seeing even this common aquatic bird filled us with hope that we’d see something interesting. 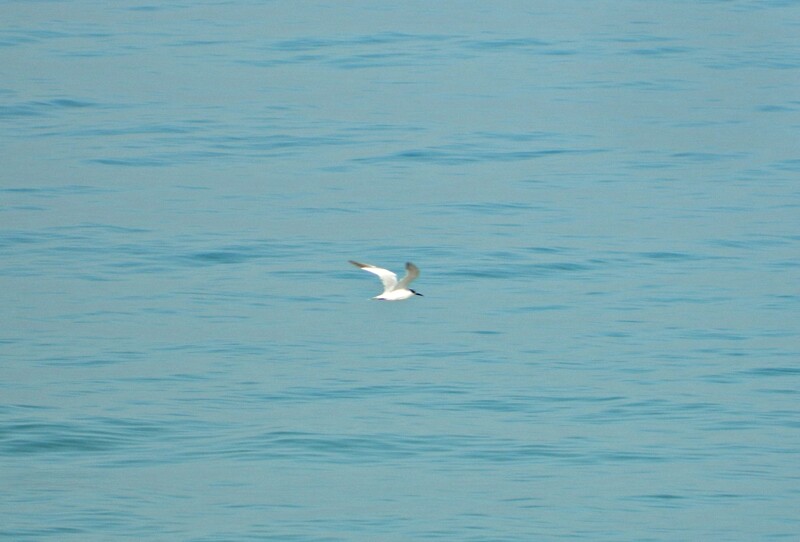 When we reached the cliff overlook the beach, a common tern flew by, challenging us to photograph it while it dove in and out of the surf hunting tiny fish. This was my first time seeing a common tern, so I did my very best to capture a decent record shot. Several more common terns joined in on the fun, and we were reluctant to keep walking. Unfortunately, it was a Friday and I intended on traveling up north to Ma’alot for Shabbat, so time was an issue. We pushed onward, heading for Tel Michal just outside the Herziliya marina. Nearly immediately we were greeted by a trio of kestrels and a few crows who thought it necessary to harass the poor kestrels. A blanket of yellow wildflowers paved the way for a small vernal pool, complete with a sign explaining the importance of these pools to the ecosystem. While we were distracted by the pool, peering in to see if we could find anything curious, we noticed a long stone wall atop the nearby ridge, complete with a path leading up. Needless to say, we made a beeline for this old structure, which we identified as a Roman fortress shortly thereafter with the aid of a sign. A large stone building complete with a tower, constructed on the rough kurkar ridge, served the purpose of watchpost by day and lighthouse by night. 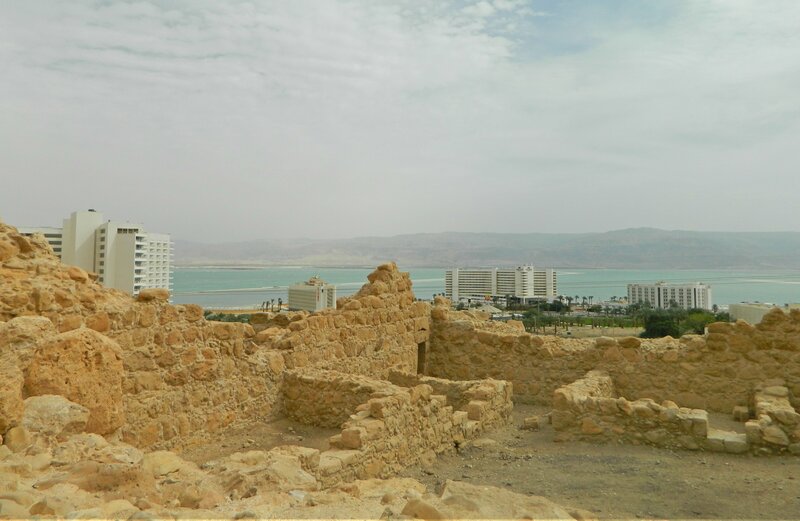 From the Roman coins found on-site, the fortress was active during the first half of the 1st Century CE, shortly before the destruction of the Second Temple in Jerusalem. 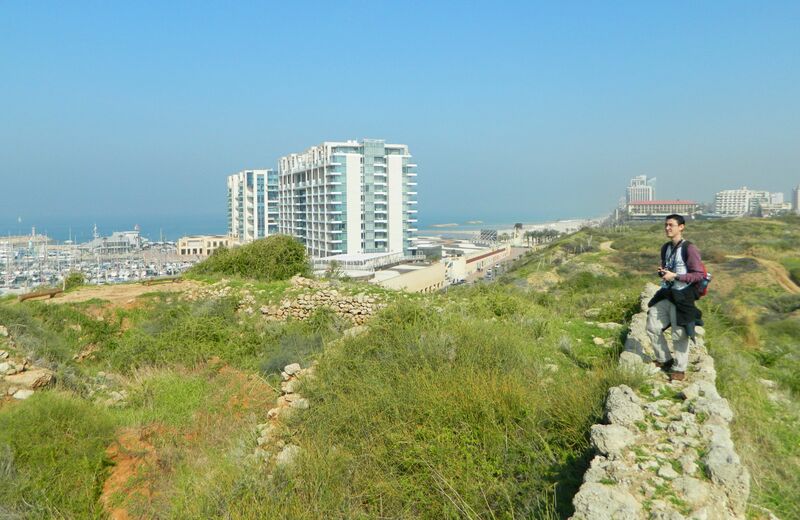 To date, this has been the only Roman fortress to be found on the coast. We entered the fortress, examining what there was to be seen, and enjoying the view of the open land to the east and the marina to the west. After visiting, I read a short publication on the 1977 excavation of Tel Michal and learned that they had discovered a hoard of Ptolemaic coins, dating from the successions after the reign of Alexander the Great, as well as a grim Persian period burial featuring a child inside a ceramic jar. Overall, the tel saw occupation starting in the Middle Bronze Age, continuing into the Iron Age until being repopulated in the Persian period. 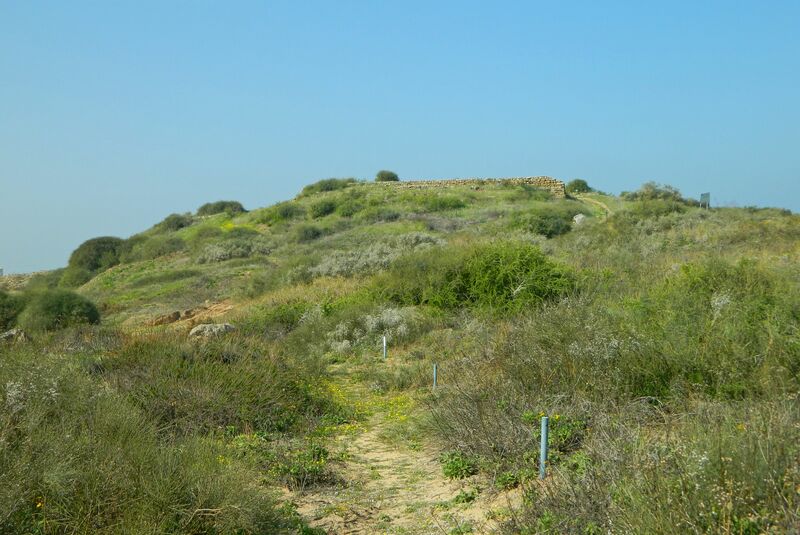 Then began the Classical times, the Hellenistic and Roman period, ending off with the site being used as a military observation post during the Early Arab period. After spending a good twenty minutes or so in the fortress ruins we made our way back down the hill and headed for the closest bus stop to be taken back to civilisation as they call it, planning to go on more adventures as soon as possible.